UPDATE: President Trump has officially declared he will take the United States out of the Iranian nuclear deal [JCPOA]. He announced the move Tuesday afternoon from the White House. "I am announcing today the United State will withdraw from the Iran Nuclear deal," Trump said from the Diplomatic Room. "This is a horrible, one sided deal that should have never been reached..It didn't bring calm, it didn't bring peace and it never will." "The deal's sunset provision is unacceptable," Trump continued. "If I allowed this deal to stand, there would soon be a nuclear arms race in the Middle East." "It is clear to me we cannot prevent an Iranian nuclear bomb under the decaying and rotten structure of the current agreement. The Iran deal is defective at its core," he said further. The President announced extreme economic sanctions will be placed back on Iran and signed them after his remarks. He also called out the regime for its continued sponsorship of terrorism around the world and destabilization of the region. "America will not be held hostage by nuclear blackmail," Trump said. "The United States no longer makes empty threats." He also called the leaders of the regime liars. President Trump also sent a message to the people of Iran, reminding them America stands with them and not the regime. "The future of Iran belongs to its people," he said. The President warned Iran not to threaten the United States, saying if they do there will be serious consequences. He reached out to the regime and offered to renegotiate a deal in the future. "Powerful sanctions will go into full effect. If the regime continues its nuclear aspirations, it will have bigger problems than it has ever had before," he said. 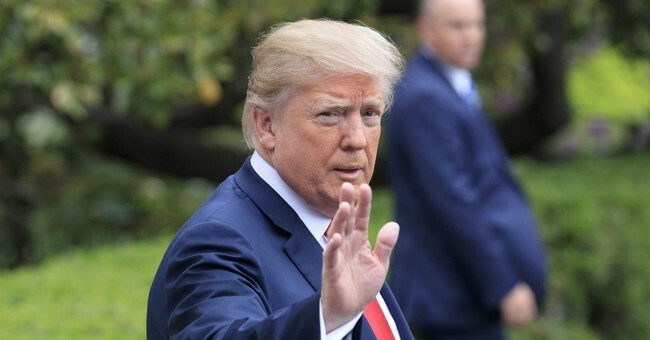 President Donald Trump will announce Tuesday afternoon that the United States will exit the Iran nuclear agreement [JCPOA] and reinstate sanctions on the terror state within 90 days. After that time period, the U.S. will be completely removed from the deal. Vice President Mike Pence went to Capitol Hill to brief congressional leadership about this decision. President Trump will give full remarks to the nation from the White House at 2 p.m. ET. Leaders from the UK, France and Germany have met with President Trump at the White House in recent weeks and urged him to work on a fix. Iranian Foreign Minister Javad Zariff responded to reports President Trump would leave the deal Tuesday morning by saying Iran will not renegotiate. The regime is also refusing U.N. requests to inspect Iranian military sites.